​Pep Guardiola will celebrate Manchester City's Premier League title triumph by penning a 12 month extension to his existing contract. The Spaniard led City to a third league title in seven seasons on Sunday after fierce city rivals Manchester United fell to a shock 1-0 home defeat to West Brom, and the ​Daily Mail has now reported that Guardiola is keen to extend his stay at the Etihad. 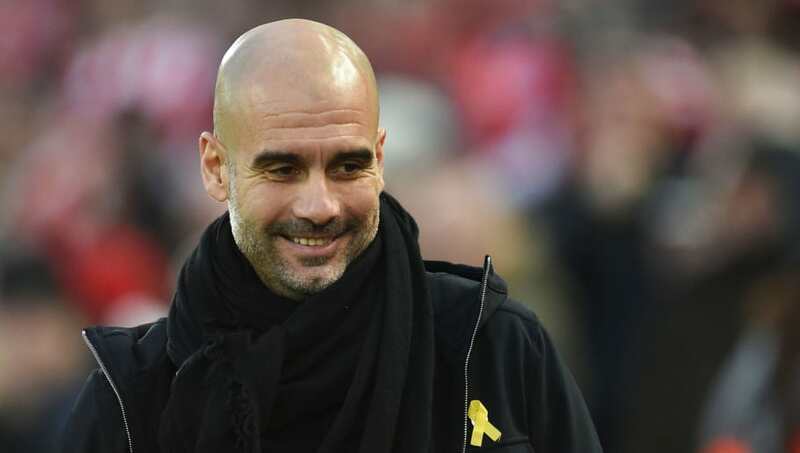 The paper has revealed that the ex-Barcelona and Bayern Munich manager will sign on for another season at the helm and will now be tied to City until the summer of 2020. Guardiola is thought to have wanted to commit his future to City for some time but he had held off on opening talks with his club's hierarchy until he had cemented his place in the hearts and minds of the team's fanbase. And after clinging England's top flight crown and a Carabao Cup this season, City have agreed terms with Guardiola to hand him another year on top of his current £15m-a-year deal. That extension will see the 47-year-old remain in the City dugout for four seasons providing he isn't sacked at any point - a feat that would match his spell in charge of Barca between 2009 and 2013. City could be in line to break a number of Premier League records in their final five matches of the season, with a record points haul, goal difference and away wins in a single campaign just three of those in their sights. Their triumph is dominating the top tier in England has also netted City's stars almost £10m in bonus payments, with key playmaker Kevin De Bruyne believed to be in line to bag himself a handsome £500,000 for winning the league. Guardiola celebrate his side's victory on the golf course on Sunday as he refrained from watching United's clash with relegation-threatened West Brom, and there are sure to be plenty of celebrations set to take place when City host Swansea this coming Sunday.